Welcome to Ute-Christin Photography, LLC! If you are looking for a portrait photographer who loves to work with newborns, babies, children, and families then you should book your session today! 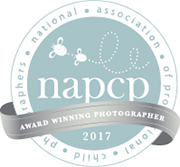 Ute-Christin is an award-winning published photographer who specializes in Newborn, Children and Family Photography in Fairfield County and New Haven County, Connecticut. Her Milford studio is perfectly suited for newborn and baby photography for clients from Connecticut and surrounding areas. You and your loved ones will benefit from candid portraits and traditional portraiture, as well as stunning color photos with a mix of emotional pictures in black & white. Ute-Christin is looking forward to photographing your family to capture long lasting memories in the beautiful state of Connecticut. Ute-Christin serves all cities in Fairfield County and New Haven County, Connecticut including but not limited to: Branford, Darien, Devon, Easton, Guilford, Greenwich, Hamden, Madison, Monroe, New Haven, Norwalk, Orange, Redding, Seymour, Shelton, Southport, Stamford, Stratford, Trumbull, Weston, Westport, Wilton. Please refer to the pricing section of this website for a rough overview of packages and pricing. Please inquire about availability and detailed pricing information. I am so happy you found me and I hope my passion for photography speaks through my work. I would love to capture your little ones to create everlasting memories to treasure for a lifetime. To find out all about me and what I love to eat while editing, please click here.